SAUSAGE & DELI Archives - Page 3 of 6 - Lettieri & Co.
Licini Bros uses top-quality ingredients in this domestic line of artisan charcuterie. 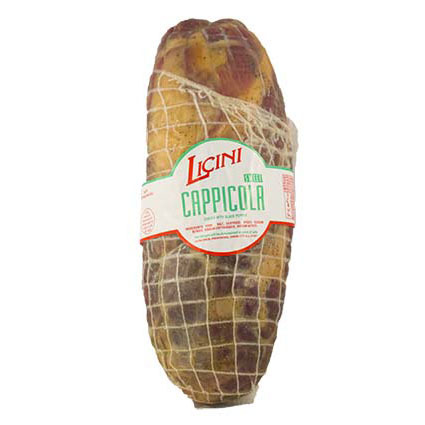 Capicola, or coppa (gabagoul if you're from New Jersey) is a traditional cured meat, made from a whole cut of a pork shoulder or neck. 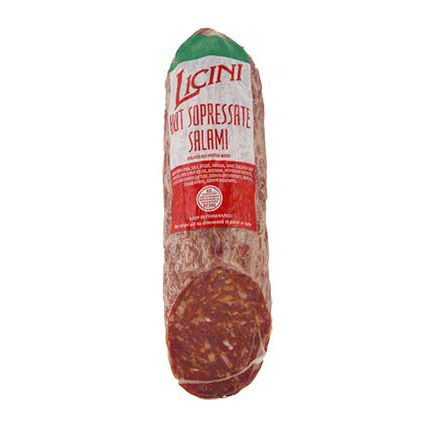 Licini Bros uses top-quality ingredients in this domestic line of artisan charcuterie. 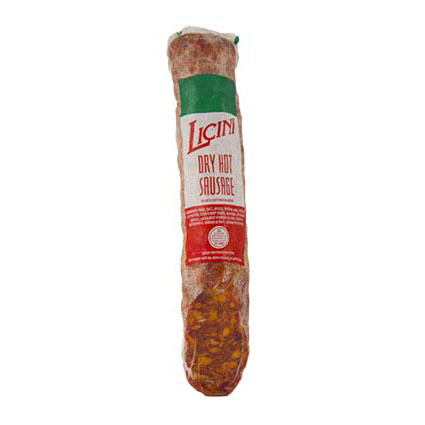 Their hot dried salami is rich in flavor and not overly salty. The balanced heat adds a nice kick, without overwhelming the palate. 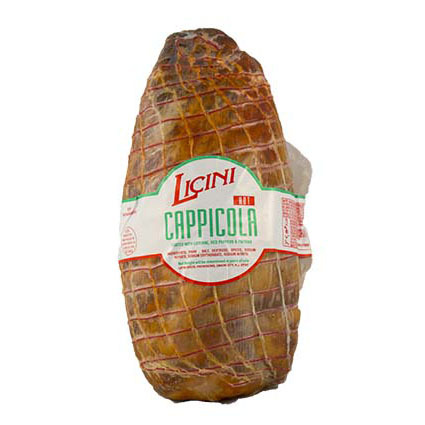 Licini Bros uses top-quality ingredients in this domestic line of artisan charcuterie. 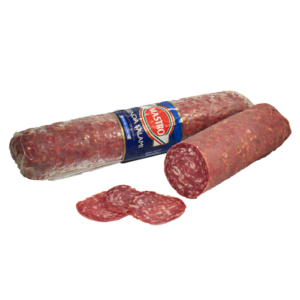 Soppressata is a traditonal dried cured salame typically made in the Southern Italian regions of Calabria, Basillicata and Puglia. 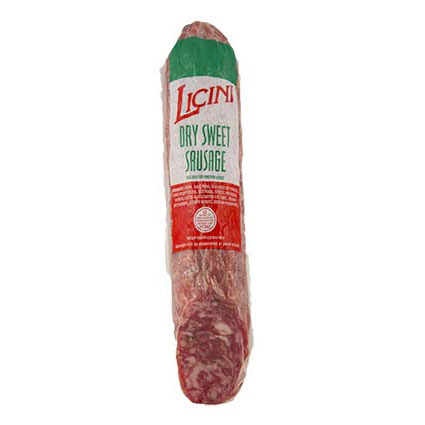 Licini Bros uses top-quality ingredients in this domestic line of artisan charcuterie. 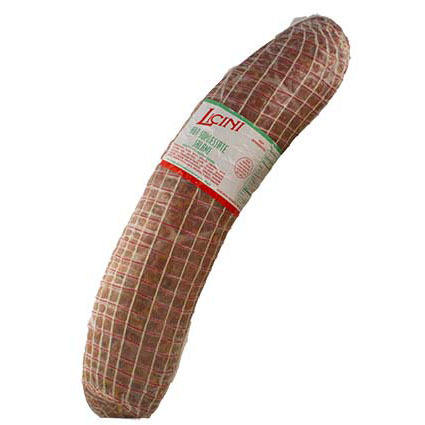 The traditional style sweet dried salami is a perfect match for a provolone piccante and a dry Italian red. 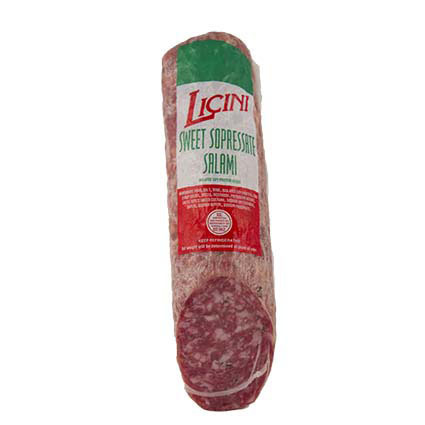 Licini Bros uses top-quality ingredients in this domestic line of artisan charcuterie. 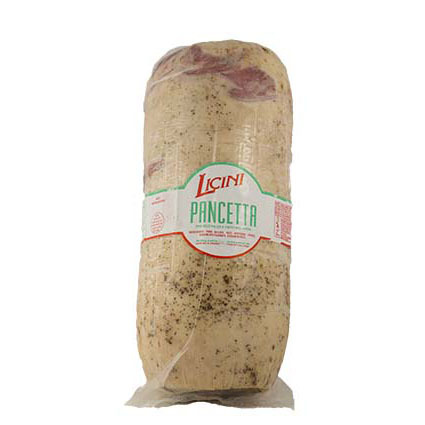 Their pancetta is particularly marbled and contains a much higher meat to fat ratio than its competitors. 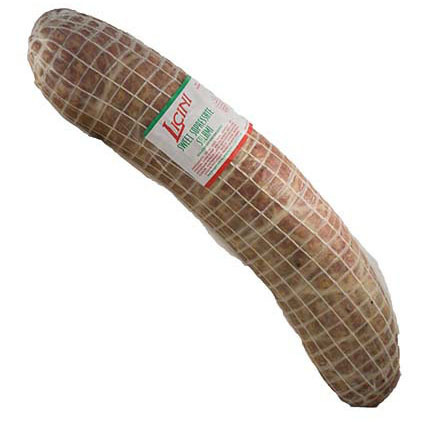 The pancetta is rolled and tied with herbs in the traditional style. Imported from Canada, The Mastro selection of meats are the perfect way to complete your deli selection, catering menu, or antipasto offering. 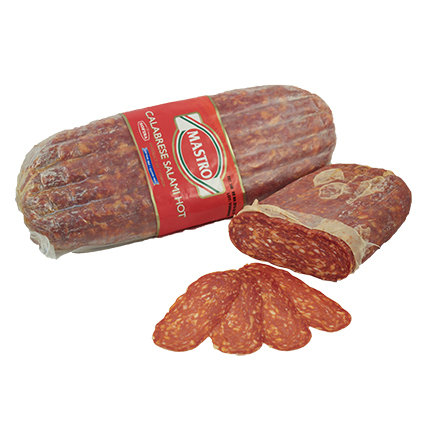 With high quality ingredients at an excellent price point, you can’t go wrong with Mastro! 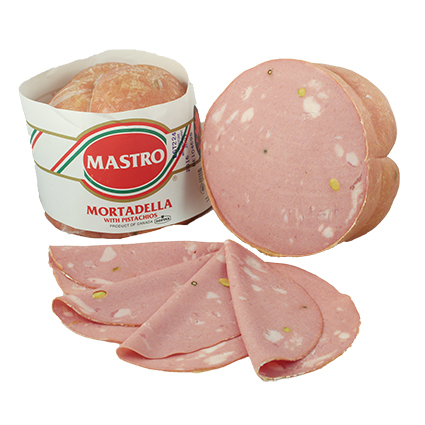 Mastro Mortadella is perfectly seasoned and is filled with delicious pistachios. ©2016 Lettieri & Co. Ltd.